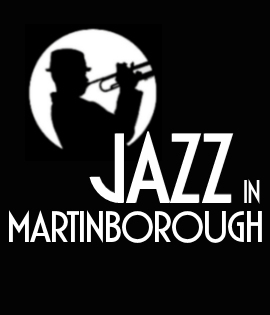 “I’m really looking forward to hearing these talented musicians play,” says Jazz in Martinborough Music Director Lee Quayle. “When you’re putting together a programme for the festival, you look for variety, quality and interest and when Kate suggested this combo I was very happy to put them on the main stage,” says Lee. This will be a Friday highlight for me, he adds. The Ravens Trio is the highly engaging combination of the talents of the “Queen of the Boogie Piano” Cindy Muggeridge on vocals and keys, Kate Marshall on almost any other instrument that can be bowed, plucked, blown or squeezed – and she sings! – and Anje Glindemann holding the groove on the drums, while offering her own vocal contributions. Cindy Muggeridge has developed a unique style that draws on the great pianists of the blues, the classic women blues singers, a taste of the American songbook, and a freshness of approach heard in her own original songs, that tell their stories with a mixture of humour, poignancy and insight. Her duo, Raven Mavens, is a favourite at folk gigs and festivals, and now the Ravens Trio offers another opportunity to hear her captivating musical personality in a fresh musical setting. Multi-instrumentalist Kate Marshall plays accordion, flute and violin – and also sings. She started her musical life as a classically trained pianist, but had an occasionally misguided tendency to improvise the ends of Mozart sonatas. She decided that she should find some music where that wasn’t going to break the rules, and so has found a musical home playing blues, cajun, Irish, jazz – you name it. She is usually found as part of the duo Bob and Kate or with the country combo Hard Candy. Anje Glindemann plays drums and has a style that is always a key part of the group sound, – sometimes light, sometimes swinging, but always with a solid feel. Anje has the philosophy of playing the song and not just the drums (while actually playing the drums – and singing!). She has her own band, The Salty Hearts, sits in with loads of others, including Andrew London, and loves to play with the Ravens wherever possible.